The mention of the word waseela in the Quran has been a major excuse for Nizārī-Ismāʿīlīs calling upon, and seeking help of their Hazar Imam instead of the Almight Allah (swt). This is a concept drilled into their minds by the Ismāʿīlī missionaries. Ismāʿīlīs themselves have never laid their hands upon a copy of the the Qur’an. A vast majority of Nizārī-Ismāʿīlī homes are devoid of even a single copy of the Qur’an. O you who believe! Do your duty to Allah (swt) and fear Him. Seek the means (الْوَسِيلَةَ) of approach to Him, and strive hard in His Cause as much as you can. So that you may be successful. The above means that asking anyone other than Allah (swt) is not allowed, as Allah (swt) says here. Look at the word ادْعُوا which means to make duʿāʾ. Allah (swt) says that He has powers to accept duʿāʾ. With the context now established having read Verse 56, you will be amazed to see the next verse where word waseela is used by Allah (swt) in Verse 57. Those whom they call upon, themselves seek the means of access (الْوَسِيلَةَ) to their Lord, as to which of them should be the nearest: they hope for His Mercy and fear His Wrath: for the Wrath of thy Lord is something to take heed of. Allah (swt) explains the meaning of waseela in this verse after waseela is used, as to which of them is nearest. Allah (swt) is talking about Righteous people like Jesus (pbuh), Maryam (ra), Uzair (ra), etc., and in current senerio Ali (ra). Allah (swt) says: “They hope for His Mercy and fear His Wrath” What is waseela of these righteous people? Think about it. Who did these people make duʿāʾ to? Of course to Allah (swt). Allah (swt) also says that they seek waseela as to which of them is near to Allah (swt). Therefore waseela is something that brings one near to Allah (swt). “Seek to Allah (swt) Al-Wassilah” is asking the nearness to Allah (swt) with good deeds (your salah, understanding the Qur’ān, piety, patience, charity, etc. and that which pleases him. Understanding Quran will improve your relationship with Allah (swt). These were the waseela for these Righteous people, their awareness of afterlife, their knowledge of Allah (swt) and their good deeds. And who is more astray than he who invokes besides Allah (swt) those who will not respond to him until the Day of Resurrection, and they, of their invocation, are unaware. And when the people are gathered [that Day], they [who were invoked] will be enemies to them, and they will be deniers of their worship. Allah (swt) says they are unaware of your duʿāʾ. Ali (ra) is unaware of you making duʿāʾ to him, and he can never hear you. And then Allah (swt) says they will be your enemies on on Judgement day and will deny their worship. So this should be clear from Quran that Duʿāʾ is only for Allah (swt). Ali (ra) will be our enemy on the Day of Judgement if we make duʿāʾ to him. Help in worldly matters is something different. Prophet (pbuh) was helped in his mission by all the companions including Ali (ra), Bilal (ra), and all the companions helped him. Bilal’s (ra) voice was heard by Prophet (pbuh) during the night journey. So can we say “Ya Bilal Madad”? No we cannot. 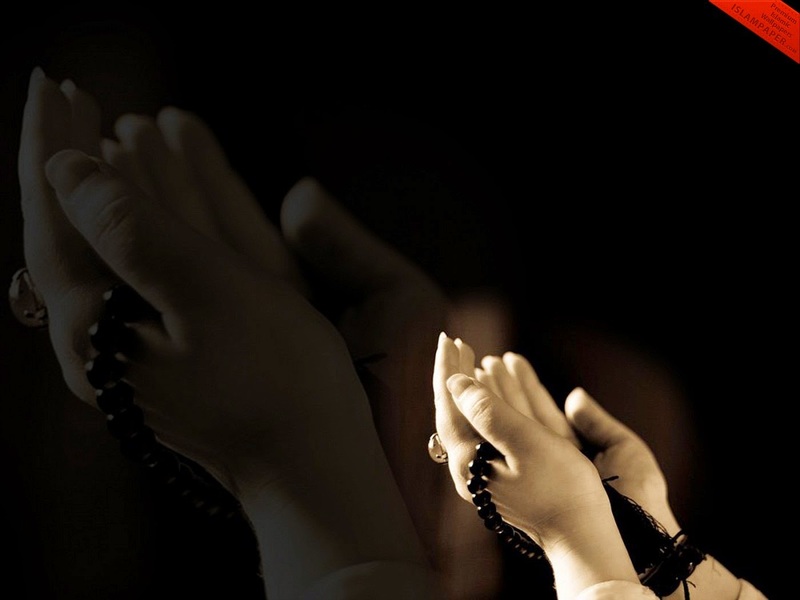 In worship, we only seek help from Allah (swt). In worldly matters my co-worker helps me and I help him, this is not duʿāʾ of worship. If Prophet (pbuh) asked help from companions then this does not means that Prophet was making duʿāʾ to them. Duʿāʾ is your relationship with Allah (swt). This Duʿāʾ of worship should be exclusively for Allah (swt). Dear Brother. Thank you for your kind thoughts. Keep in touch! Ismailism is full of deceptions. The fake Imam Agakhan an atheist is fooling the innocent people and looting their blood money. He is after money only. He hates religions. WOW. How did he become an Imam? TRUTH BUT TRUTH MUST PREVAIL ALL THE TIME. AND THOSE WHO WALK ON THIS PATH, ARE THE BLESSED ONES.